Lyn had been wanting a stew which was unusual for her she is not much of a stew person. 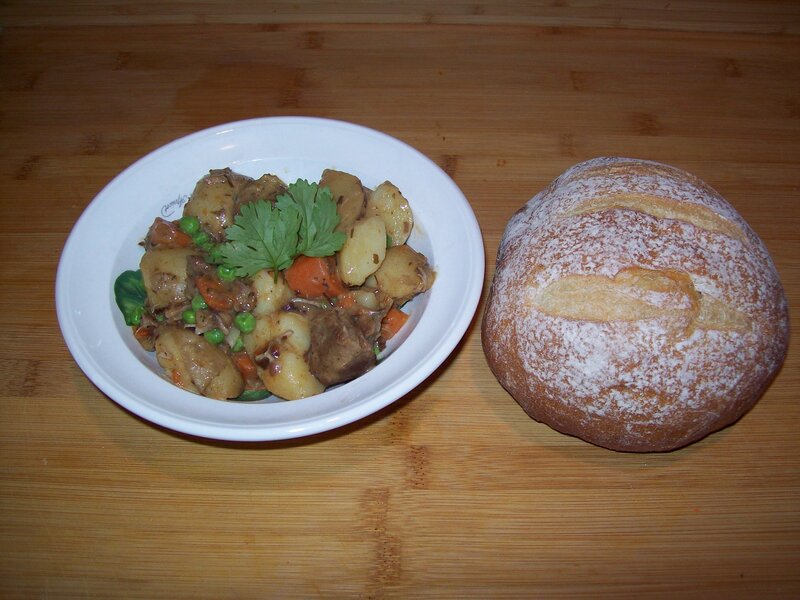 Years ago we had made an Irish lamb stew but for the life of us could not remember where we saw it. So we must have look at a dozen recipes and I came up with this which was heavily influenced by Wholefoods. This stew came together easily, simmering on top of the stove for a couple of hours made another day of growling tummies. Combine flour, salt and pepper in a large bowl or plastic bag. Add lamb and toss to coat well. Heat oil in a large heavy pot over medium high heat. If needed working in batches (setting aside first batch in bowl), add lamb and brown on all sides set all lamb aside for a moment. Add the garlic and cook until you smell about 15 seconds to 1 minute. Add chicken broth, wine, rosemary and oregano. Stir to combine add the lamb and bring to a boil. Reduce the heat to low, cover and simmer for 1 hour. Stir in carrots and potatoes. Cover and continue to simmer 1 hour longer. Stir in peas and mustard and simmer 3 to 10 minutes or until peas are just cooked through (frozen peas do not take as long to cook). Ladle stew into bowls and garnish with green onions. Note from Steve: The only thing I might change is using fresh springs of oregano and rosemary and removing the stems after cooking. 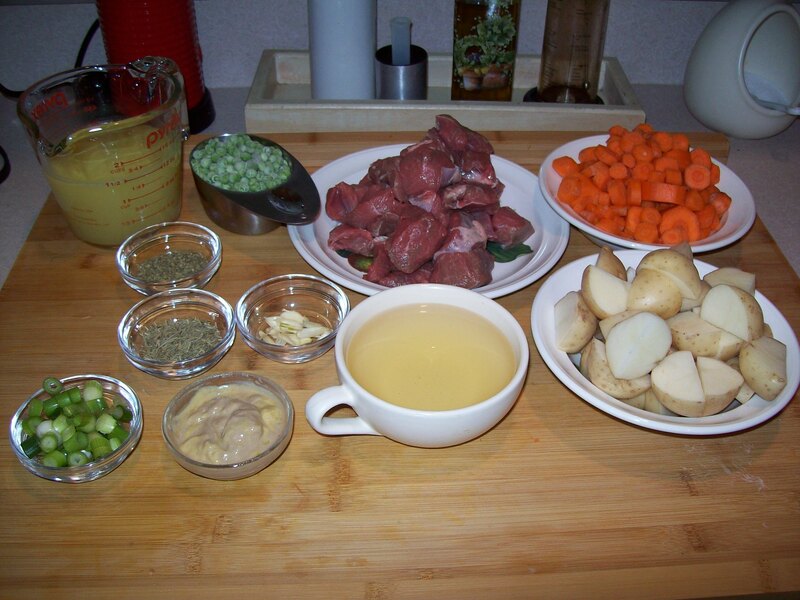 This entry was posted in Lamb, Meat, Soups, Wines and tagged Black pepper, Broth, lamb, oregano, Potato, rosemary, Stew. Bookmark the permalink.